Here are two notes (separated by the horizontal line) on what you can do to try to control an Android application’s heap size, from this SO link. As you can see, you can’t set the heap size directly, like you can with the java command. 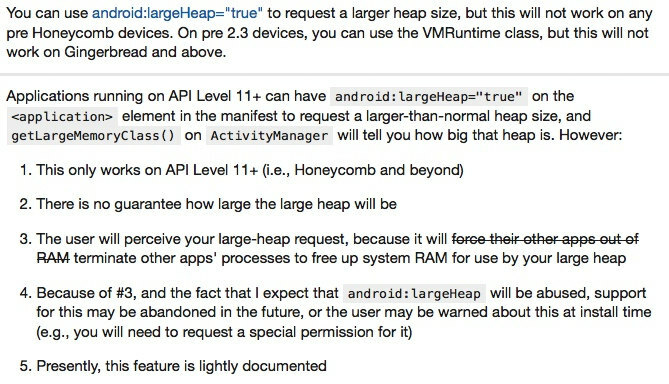 Here’s a link to the android.com 'large heap' setting documentation page.